Kissing Crane Stiletto Geniune Stag 3 7/8in. | BUDK.com - Knives & Swords At The Lowest Prices! 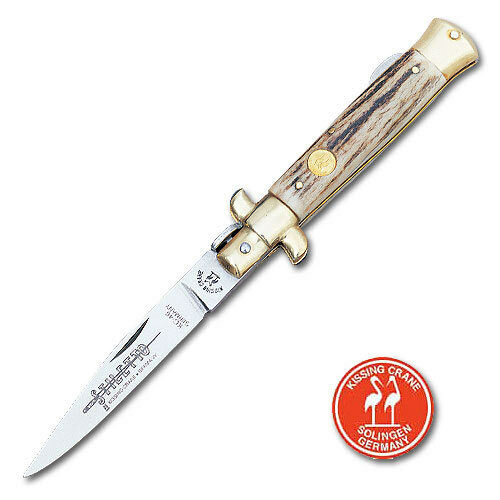 Kissing Crane Stiletto Geniune Stag 3 7/8in.